You pay your insurance premiums to protect you in the event of an accident, injury or loss. When your insurance claim gets denied or underpaid, you may be angry, confused, and unsure about how you will pay your bills or make the necessary repairs in the case of property coverage. Insurance claim denials can occur when you make a claim and the carrier determines that there is some reason that they are not obligated to pay, typically alleging your claim is not covered by an exclusion in your policy. Insurance policies can sometimes be complex but at the end of the day, are contracts and the parties are generally bound by its terms. In many of the cases presented to us, we find that the insurance company improperly denied or underpaid the claim. If your insurance claim has been denied or underpaid, you need an insurance denial lawyer (otherwise known as first-party insurance attorney) fighting for your rights. Leader, Leader & Zucker, PLLC Attorneys at Law are insurance attorneys who can help you get the recovery you may deserve in Fort Lauderdale, Florida. Individuals often make ann insurance claim in the days and weeks after thier loss occured. It can be confusing and frightening to learn that your insurance claim has been denied. If it is a property claim, in many instances, you are left without a working bathroom or functional kitchen (depending on where the damage is and how it occurred) and have nowhere to live until the repairs are made. Even individuals who regularly pay their insurance premiums, have good coverage and have never made a claim, may face improper insurance claim denials or underpaid insurance claims.. If you believe your insurance claim has been wrongly denied or you have not been paid a sufficient amount to cover your loss, you need an insurance claim denial lawyer fighting on your side. Here are some reasons why insurance claims sometimes get denied. Your Actions Lead to the Cancellation of the Policy: It is important to know the conditions of your insurance policy. At Leader, Leader & Zucker, PLLC we handle most types of insurance claims including, long-term care, life insurance, disability insurance, AFLAC, other areas and most common, your home property insurance. Although there are some areas of auto claims that are more challenging to assist with such as under insured (also known as uninsured) motorist coverage which does not allow for attorney fees to be collected on your behalf, we have successfully helped many clients with auto related claims. Your car insurance (also known as auto insurance) won’t cover you in all cases. For instance, many car insurers will cancel your policy or won’t cover you in a crash if the insurance company learns that you used your car as a taxi, for Uber, or for hire without notifying them or getting the proper coverage for such use. Non-commercial policies don’t typically cover accidents if your car was being used for commercial purposes. Even if you weren’t using your car for commercial purposes when the accident took place, if your insurer learns that the car was being used for commercial purposes, the insurer may attempt to retroactively cancel your policy. Other situations where your insurance carrier may try to avoid coverage is if you were driving drunk, under the influence or impaired or if you let a person who didn’t have a license drive your car. Some carriers will ask you questions about who lives with you, how many licensed drivers there are, etc. This has nothing to do with your claim in most instances; rather, they are trying to find information that conflicts with anything on your original insurance application so they can cancel your policy and deny coverage. Generally, any fraud or misrepresentations in the application or claim process can result in a denial of your benefits. Likewise, if you are being told it will cost $5000.00 to fix your car from a theft and resulting damage and the insurance company will not pay you more than $3000.00, you do not have to accept what they offer and walk away. You have the right to go after the company to pay the full amount you are owed, even if they disagree. If you find yourself in any of these situations, it is important to speak to an insurance claims denial lawyer as soon as possible. Leader, Leader & Zucker, PLLC Attorneys at Law can take a close look at your policy and determine what rights you may have. Insurance Bad Faith: If the insurer isn’t following through on its obligations to you based on your policy, your insurer may be denying your claim in bad faith. 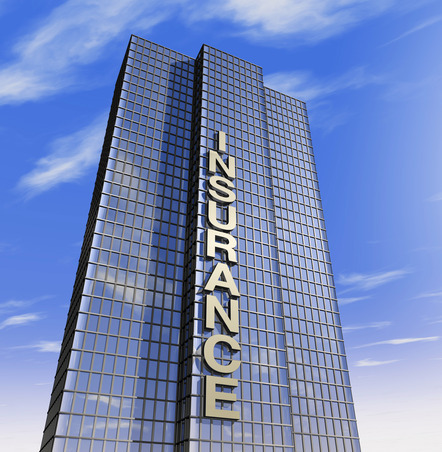 Insurance companies are required to work within the law when making a settlement with you. Insurance companies may also offer you a lower settlement than you believe you deserve. While this is not necessarily bad faith in itself, if you feel you deserve more, you may wish to speak to a claim denial lawyer in Fort Lauderdale, Florida. Leader, Leader & Zucker, PLLC Attorneys at Law are insurance claim denial lawyers who work closely with individuals facing a denied car insurance claim or an underpaid claim. If you have questions about your insurance policy, an insurance claim denial, or have other concerns about your insurance settlement, Leader, Leader & Zucker, PLLC Attorneys at Law are Fort Lauderdale, Florida lawyers who may be able to help you. Under the law, all Americans are required to hold health insurance. However, individuals may not be aware that every day insurance claims get denied. In some cases, individuals have been denied reimbursement for costly and necessary medical care or for prescription drugs. According to AARP, every year 200 million health insurance claims are denied. Health insurance claims can be denied due to a simple paperwork error or due to the insurance company claiming that a procedure is not medically necessary. In recent years, health insurance companies have become more aggressive in denying claims, including claims from cancer and Parkinson’s patients. 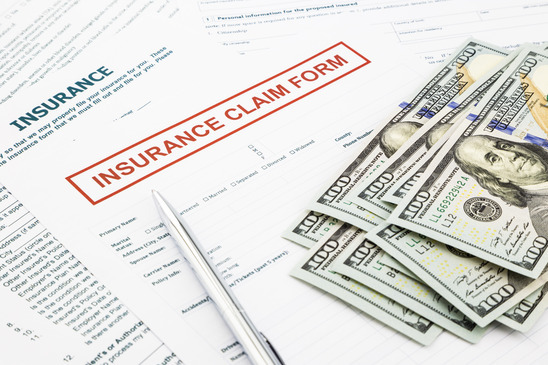 In some cases, the insurance companies hope that patients will pay the claim out of pocket in order to avoid the hassle of fighting the insurer. If your health insurance claim has been denied, you should ask why the claim has been denied. In some cases your denial may be due to a simple paperwork error that can be corrected by your doctor. With proper assistance, many denials can be recovered. If you’re facing difficulty due to an insurance claim denial, an insurance lawyer may be able to assist you. Ask for the denial reason in writing. Review your plan or speak to someone who can review your plan with you. Check to see if there were coding mistakes or missing information. Call your doctor and make sure that all paperwork was filed properly. If your insurance claim has been denied, it is important to know that companies sometimes use software that may result in the false denial of a claim. Sometimes insurance companies claim that treatment isn’t medically necessary when it in fact, is necessary. Re-apply, talk to your doctor, and make sure to keep records of each dealing you have with your insurance company. If you still have difficulty, it may be wise to speak to an insurance lawyer in Fort Lauderdale, Florida who can help you fight for your rights. While it can be incredibly stressful to deal with an insurance denial in Fort Lauderdale, Florida, the good news is that we have been able to assist almost all of our clients get some or all of their coverage when it was denied or underpaid without just cause. If you are facing difficulty getting the recovery you believe you deserve from your insurer, it may be wise to speak to an insurance attorney in Fort Lauderdale, Florida. Leader, Leader & Zucker, PLLC Attorneys at Law may be able to help you. Our qualified lawyers work closely with individuals to fight insurers who do not follow through on their responsibility to consumers.